Description: An employment opportunity is available at the Foundation 2 Youth Shelter. We have a 17 bed facility providing short-term stays in a safe compassionate environment for young people ages 11 – 17. Duties include interactive supervision of youth clients; appropriate role modeling and rapport building with youth clients; ensuring shift tasks and documentation are completed; and working with other team members in a professional manner. The schedule is Monday, Tuesday, Thursday, Friday from 7:30 am-12:30 pm, and Wednesday 7:30 am-2:30 pm. Education and Experience: BA/BS degree in a related field and 1 year full-time related experience, or AA degree or equivalent in human service field and 2 years full-time related experience. 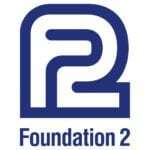 Possess a valid driver’s license and be insurable by Foundation 2’s auto insurance. Pass criminal records/child abuse checks completed by Foundation 2. Submit a copy of college degree and an official transcript as required for licensure for personnel file. Successfully complete required trainings within required time periods. Complete a physical exam prior to the beginning of employment and every 3 years thereafter, and be free of communicable diseases as determined by a physician.